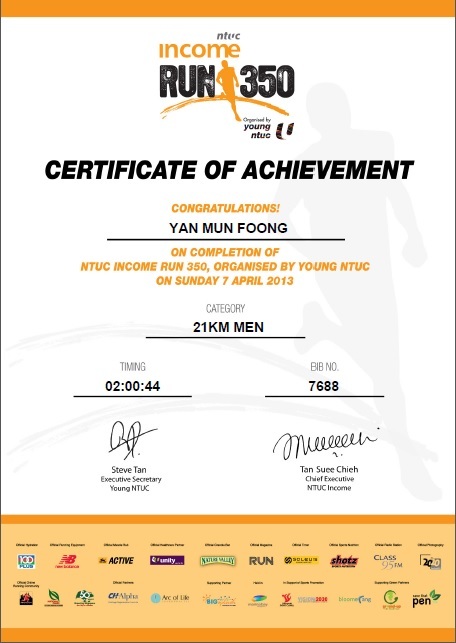 Cutting 17mins for Half Marathon over 2 years | JustRunLah! I had been running Army Half Marathon (AHM) since 2003, and had completed my first Standard Chartered Marathon in 2006, however they were done without much proper training. In 2013, I started to participate races regularly (almost every month), and also started to train regularly to prepare myself for the races. 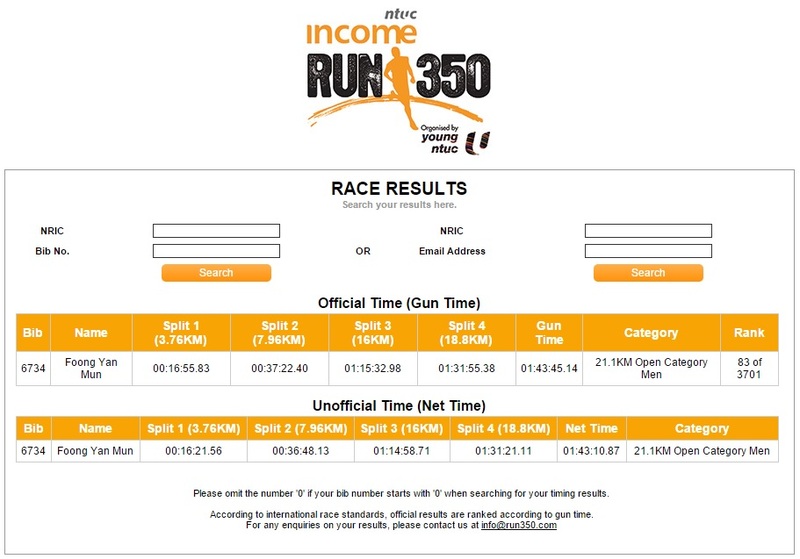 Back in 2013, my 21.1km timing was 2.00.44, done in Run 350 (7 Apr 13). And my personal best is 1.43.10 done in the recent Run 350 (5 Apr 15). 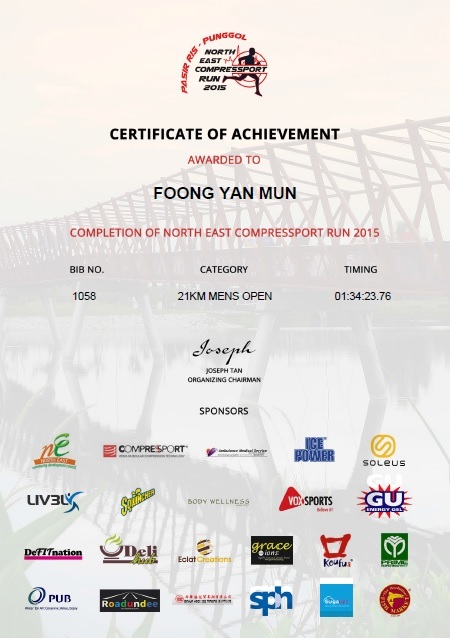 Though I had a official 21.1km of 1.34.23 done in North East Compressport Run (15 Mar 15), I won’t count it as I know the distance was much shorter than 21.1km, at max 20km or even lesser. Since 2013, I had run almost everyday, minimum of 30mins per session. And from Oct 14 onwards, I had embark on a 40km per week mileage target after reading from ‘Runner Worlds’ that Half Marathon runner minimally need to clock mileage of 25miles per week, I will normally run 8km per session, alternating my pace between under 5.30 and under 6.30 for alternate session. Apart from the runs, I had also started to do 5 sets of 30 push ups and sit ups daily since Jan 15, I believe this will help to build my core muscles for better maintaining of running posture. 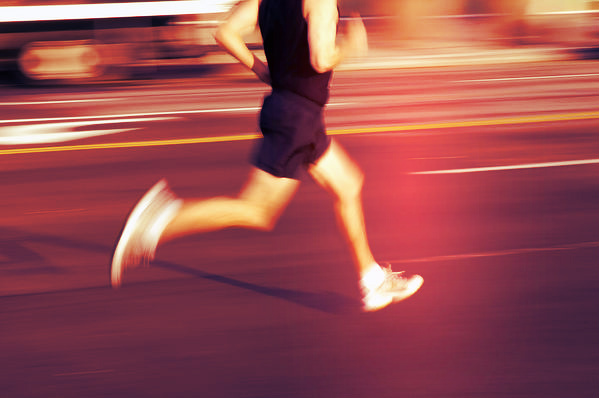 And only last week, I had started speed training with a friend of mine, we promise to do it every Saturday. My next Half Marathon will be Sundown on 4 Jul 15 (though I had Energizer Night Run 18km from now till then, but trail run is very different from normal road run), let’s see if my below listed regime can help me achieve Personal Best. 1. 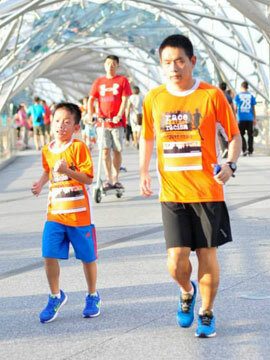 40km per week, with under 5.30 and under 6.30 for alternate session. 2. 5 sets of 30 push ups and sit ups daily.